My 5 1/2 year old has fine motor delays and struggles with handwriting. He’s still young yet, but I try to make his handwriting work fun so he doesn’t get put off. 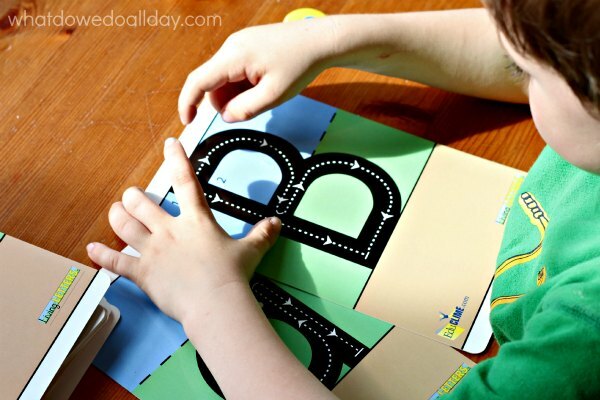 Sandpaper alphabet cards are a popular way to have kids practice forming their letters, but my mom gave us this set of alphabet cards that teach kids how to form their letters. Instead of saying “that’s wrong”, which always gets a laugh of satisfaction from him, I have to find more creative ways of getting him interested in writing his alphabet the correct way. But back to the alphabet cards. The coordination involved in holding the cards and manipulating the magnets was a tricky business so the first thing he did was to trace the arrows with his fingers. These particular cards are rather expensive (my mom got them as a teacher), but you can find them online at Fun and Function (not an affiliate link). 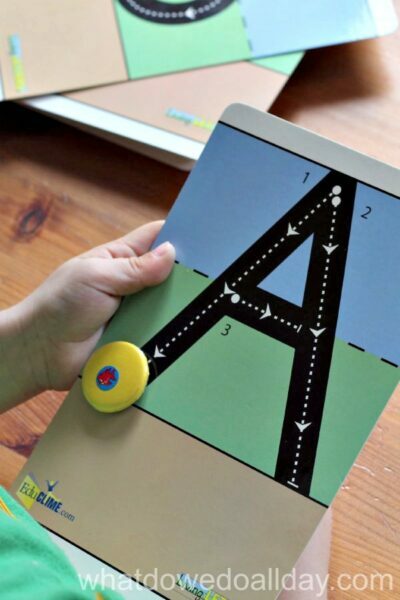 The Kid O A to Z Magnatab (affiliate link) operates along a similar philosophy but with a stylus and tray instead of individual cards. We don’t get through the whole deck in one sitting, so I try to encourage him to do a few cards each day, to keep it fresh in his memory. 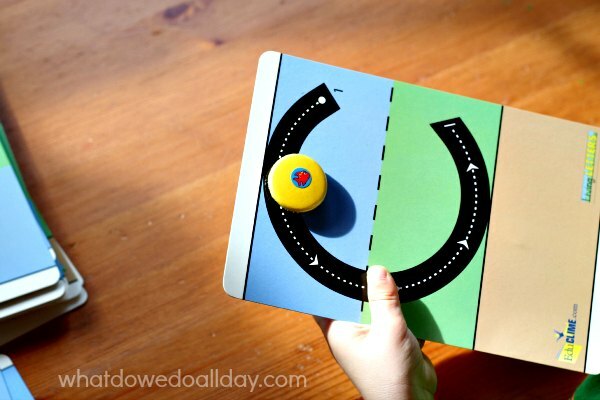 How do you help your child learn letter formation and practice their handwriting skills? These cards look awesome. They would be great to take on road trips! I’m actually starting homeschool this fall with my youngest (he’s starting kindergarten). Great to find this linky! Thanks for hosting! What a great learning resource! My kids do not struggle with fine motor skills, but I could use some help with teaching them to ride bikes!